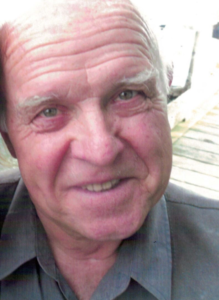 It is with great sadness to announce, that with his daughters by his side, Gene Zwick of Kamloops, passed away at age 79. Dad is survived and will be soulfully missed and remembered by his two daughters, Laurie ‘Rosa’ Zwick and Sharlene Zwick. He is predeceased by his father Wasyl ‘Bill’ Zwick and mother Maria (Nikolajenko/Lopatenko) Zwick. Gene was born in Kiev, Ukraine as an only child. After WWII, he and his parents, lived in various refugee camps before immigrating to Canada at age 11. Via a brief stay in Toronto, they went to Vancouver to live. Here, on the coast, is where Gene met his dearest and oldest friend, Ken Haraldsen. Later, Dad and his family settled in Kitimat, BC when he was a teen. But it was a beautiful sunset in Kamloops, that made Gene, as a young adult, fall in love with the area and is where he decided to start his career and live. For over 30 years Dad taught high school (mathematics, mechanics and science) the majority at John Peterson and shortly before he retired, at Kam High. Dad, known by many as Mr. Zwick, was always so proud of his students and will also be remembered for his chalk throwing abilities. All his life Dad loved the outdoors and his hobbies. He had an ingenious ability to create, build, design and fix almost anything. You would see him skiing, fishing, gardening, flying and many other activities, that he loved to pursue with family and friends or just by himself. Dad’s first love though was skiing, which he took every opportunity to do. Sharing in Dad’s love, was his dearest and nearest friend, Ian Mackenzie and Dad would always talk about his skiing buddy with such warmth. Dad then took on growing tomatoes…hundreds of them. Plants not just for himself but mostly to sell in the local community, which endeared him the name “The Tomato Guy”. Dad also had over 15 years with driving bus (Thompson Valley Charters) where he loved interacting with tourists and his co-workers. At age 60 Dad earned his pilots license. He loved restoring his ultralight aircrafts and would start his tales of getting them to fly with….” Don’t worry, I wasn’t hurt…”. But of all the things that he did, the most wonderful was being our dad. He had the kindest, most caring and generous heart and never stopped giving of his love and time. Daddy, you have the most beautiful soul, you are so very loved and you will be so dearly and so deeply missed. You are forever loved. We would like to sincerely thank the RIH ICU staff for their kindness, tenderness and compassion. To Ian Mackenzie, we are eternally grateful that Dad was able to have you by his side (in life) and at the end, and for sharing your stories of him with us. To his wonderful neighbors, bless your hearts, for always ensuring that our dad was always safe. I am so very sorry to hear about Mr. Zwick. He was one of my favourite teachers and he instilled a love of algebra in me. He was a real character and truly cared about his students. He will be missed by many but will live on in the stories we tell about math classes with him. I would like to extend my deepest condolences to the passing of “Mr.Zwick”. Mr.Zwick was one of those teachers who had a reputation of being a hard… so, when i discovered that he was going to be my math teacher in grade ten at JP, i was not impressed. I was usually quite a handful in most of my classes but a healthy dose of fear kept me in line with Mr. Zwick. I soon discovered however that he was not the tyrant that i was expecting. He acknowledged my difficulties with math and went out of his way to help me pass grade ten modified. He took his lunch breaks and long breaks to give me the help that i so needed…without judgement or impatience, I truly learned more than long division from Mr.Zwick. Sometime around 20 years ago, a friend of mine (and past student of Mr.Zwiks) were at Riverside Park when we saw a vaguely familiar figure exiting a tour bus. It was Mr.Zwick! We were so glad to see him. We both had similar experiences with him and were so glad to tell him of the impact he had on us. He was very appreciative and jokingly said”I thought everyone hated me”. I am very sorry for your loss. Mr. Zwick was a brilliant teacher at JP. I had him in math and science and he made them fun as well as relevant. I learned a lot thanks to his enthusiastic approach to everything. His was the only class I never cut because he made learning fun.